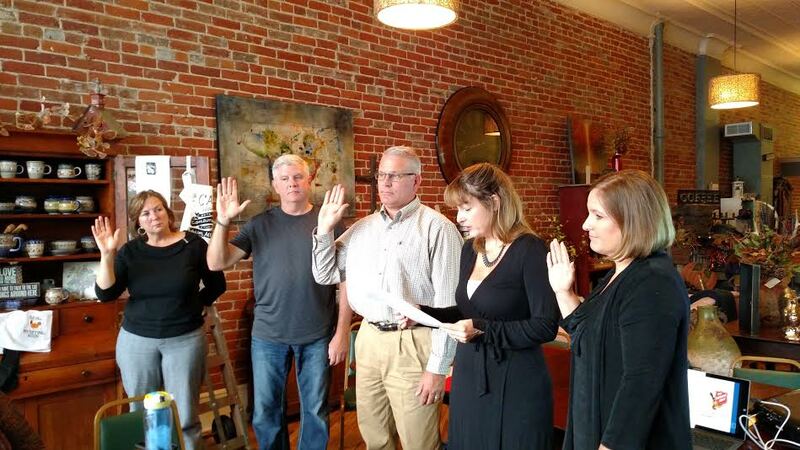 During the October, 2015, Nemaha Valley Board of Realtors meeting, the 2016 officers were sworn in. Left to right - Jeri Johns, Treasurer, Century 21 in Nebraska City; Tom Farrell, Vice President, Home Real Estate in Nebraska City; Mark Easter, Secretary, Easter and Associates in Syracuse and Nebraska City; Lisa Ritter, 2015 Nebraska Realtors Association President; Lynn Wilhelm, President, Granneman Agency Inc. in Syracuse. Help finding the right home, beyond square footage and baths. Browsing online is a terrific way to start a home search — in fact, almost 90 percent of people start their home search online. But when it’s time to buy, knowing all the pros and cons of a property can help you make the right decision. Realtors® live and breathe real estate, and they can share information about a home that you wouldn’t otherwise know. Your Realtor® can go beyond the aesthetics and tell you important details about homes you’re considering. Pricing and selling a home. There are lots of sites where you can view price estimates for your home before you list it for sale, but you take a risk using them. In some markets, online estimates can be off by as much as 35 percent, and they often rely on tax records and data that can be as old as 6-12 months. Realtors® know the local market, have access to the freshest sale data, and can price your house in line with the market to maximize your earnings.